The winter results from the RAJAR Midas survey have brought another flurry of insight into how the UK is consuming audio. Live radio has a 90% reach for audio formats, just trailing any TV with 91% reach. Online video/audio clips took a distant third place with 33% reach, while on-demand music services posted 25% and podcasts 12%. Within live radio, digital continues to assert a stronger presence, securing a 40% share of listening hours compared with 41% for AM/FM. Breaking down reach by age revealed trends similar to those seen in other markets. 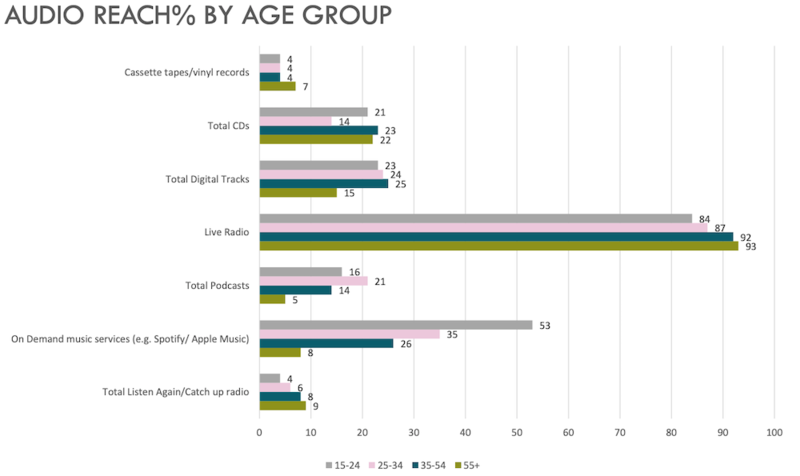 Live radio posted high percentages across the brackets, but was led by the older demographics and trailed off for each set of younger listeners. On-demand music services flipped the script with 53% reach for ages 15-24, then dropping to 35% for ages 25-34 and declining again for both older brackets. Podcasting followed a bell curve, with ages 25-34 leading at a 21% reach. The Midas survey broke down audio consumption by device across respondents. Overall, AM/FM radios posted a 31% share, followed closely by DAB sets at 30%. Smartphones had a 13% share across adults, desktops/laptops had 8%, and voice-activated speakers made an appearance with a 4% share. Here, age also made a marked difference in results. Ages 15-24 reported a 31% share for smartphones, then 24% for DAB sets. Desktops/laptops even bested AM/FM radio at 15% and 13%, respectively. 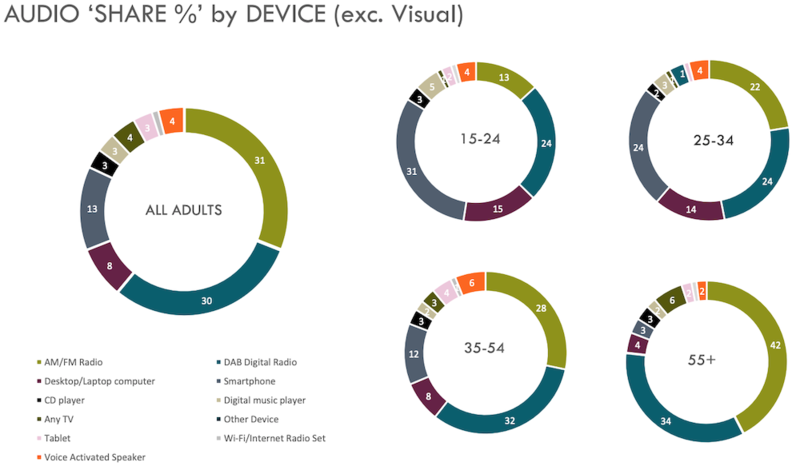 The 55+ age group posted inverted numbers, with just 3% for smartphones and 4% for laptops, while AM/FM radio dominated with 42% and even DAB sets had a healthy 34%. The survey also broke out the audio types, excluding visual percentages, accessed by different devices. 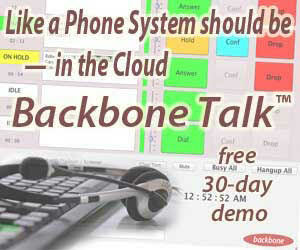 Smartphones were topped by on-demand audio with 38%, followed by digital tracks with 22%. 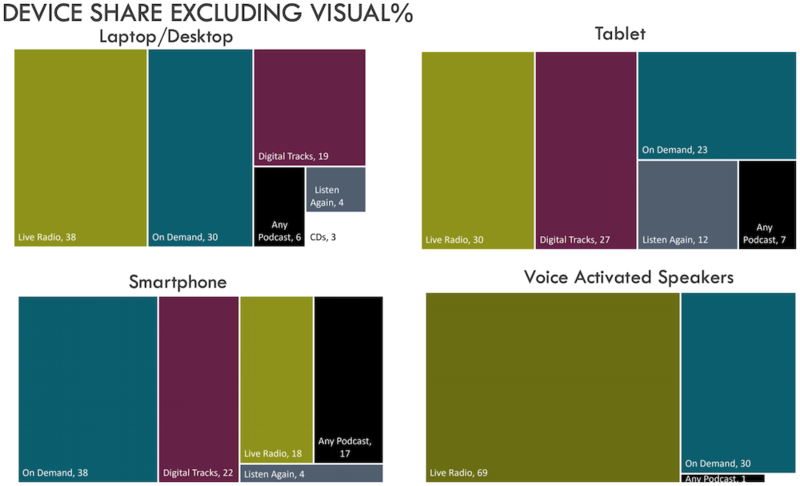 Live radio had 18%, closely followed by podcasts at 17%. Voice-activated speakers are led by live radio with 69%, then on-demand audio at 30%. Podcasts took a 1% sliver. Midas did include some dedicated statistics about the UK podcast audience. 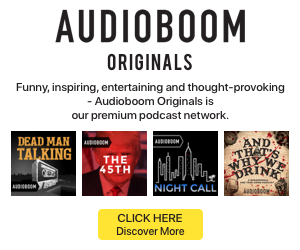 Those listeners who do download and start episodes are usually committed. Almost a quarter (25%) of respondents said they listen to all the podcast episodes they download, while 38% listen to most of them. 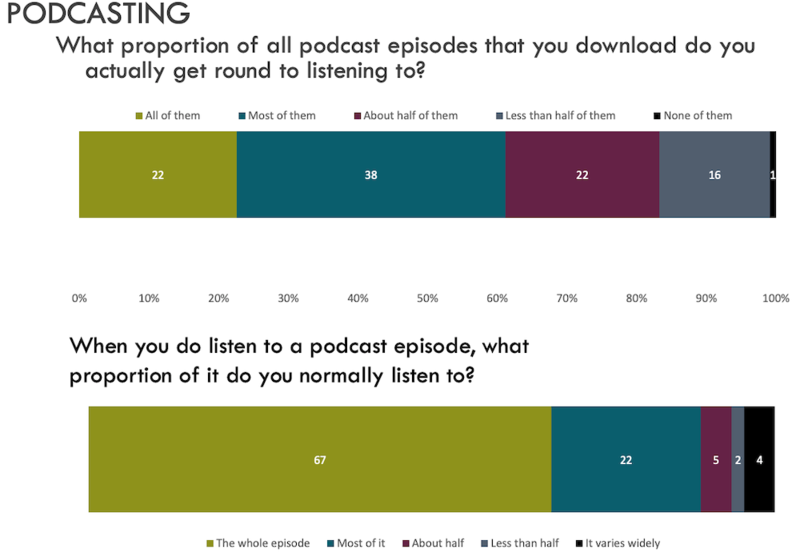 Two-thirds (67%) said they listen to episodes in their entirety, and 22% said they listen to most of every episode.